When News International bought MySpace it seemed ludicrous at the time. Now it seems remarkably sensible. But is now the time to be shelling out some £425 million on a relatively small social networking company – albeit one with a huge amount of reach – like Bebo? Mind you, the cash involved is probably for analysis by more financially concerned circles. What we should worry about is what the AOL and Bebo merger will actually bring us. AOL, remember, is part of megalith TimeWarner and will have its sights on the 40 million-strong registered userbase of Bebo now that AOL’s star as an ISP is on the wane. And that’s just those users who are registered. 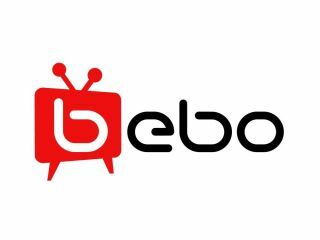 The official stats released today show that Bebo.com attracts as many as 80 million unique users. Jupiter Research analyst David Card has given his verdict on the announcement: “Not bad”. And actually he’s probably right – AOL can afford the money and it gets to hawk stuff to all those 40 million people – crucially people that will actually buy stuff. “Bebo has a good youth focus with its social network, strong presence in the UK, and is doing smart things with more professional content. Not entirely clear what AOL brings to the picture these days,” surmises Card. Analyst eMarketer predicts that by 2011, $4.1 billion will be spent worldwide on social network advertising, up from $480 million in 2006. That last point is in ‘nail on head’ territory. AOL hasn’t got a lot to shout about. Well, that was this morning; this is now. Of course, AOL will hope to attract Beboians onto its AIM instant messaging tool which it has now opened up to wider integration with Open AIM 2.0. “Bebo is the perfect complement to AOL’s personal communications network and puts us in a leading position in social media,” said Randy Falco, chairman and CEO of AOL, in a statement. He’s not wrong. Bebo has some impressive market positions. As Card says, it is strong in the UK, and is ranked number one in Ireland and New Zealand, and number three in the U.S.
And if that doesn’t sway you into thinking it’s a great move for AOL, what about this for a level of engagement: “users are heavily engaged and view an average of 78 pages per usage day [every 24 hours of use].” Wow.